Nowadays when there is a new James Bond film out all characters needs to be invented with very Bondish names. Something that Mike Myers has played with wonderfully in the Austin Powers series. But the early films all had names from the James Bond books written by Ian Fleming. Tiffany Case was the name for the girl in the 1956 novel Diamonds Are Forever. And it is revealed in the last third of the book, when Bond asks her why she was given such a special name. And the reason I got called Tiffany is because when I was born, dear father Case was so sore I wasn’t a boy he gave my mother a thousand bucks and a powder case from Tiffany’s and walked out. Joined the Marines. In the end he got killed at Iwo Jima. So my mother just called me Tiffany Case and set about earning a living for us both. Started with a string of call-girls and then got more ambitious. Maybe that doesn’t sound so good to you?’ She looked at him half defensively and half pleadingly. In the world as of today parents seem to give their children all types of names. Especially names from Film and TV. 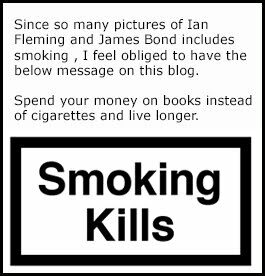 But back in the 50's and 60's Ian Fleming must have been in a league of his own coming up with all these fantastic names within the literally James Bond. 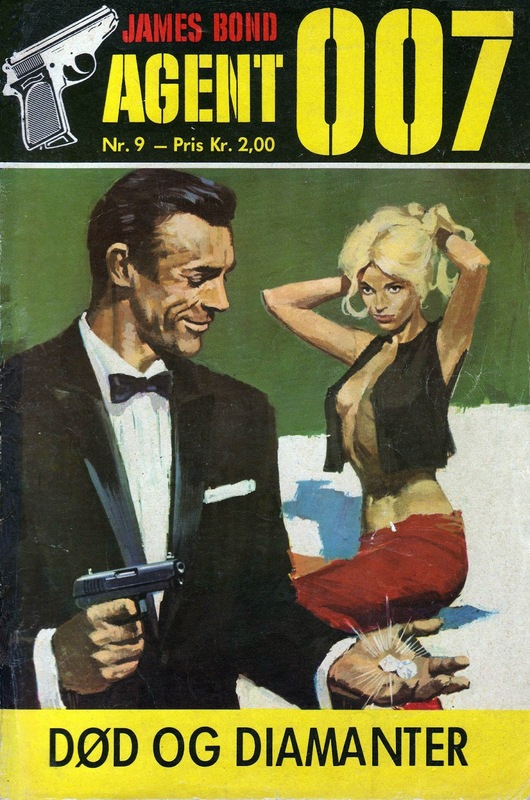 Below is the cover drawing for the Scandinavian James Bond comic that was distributed between 1965 and 1995 by Semic Press. Many of them with fantastic scenes from the James Bond books. The below one is of course from Diamonds Are Forever that was titled Death Plays False in Sweden and Death and Diamonds in Denmark. Cover scan is borrowed from Bond O Rama. If you wish to read Diamonds are Forever you can buy it at Amazon US here and Amazon UK here.